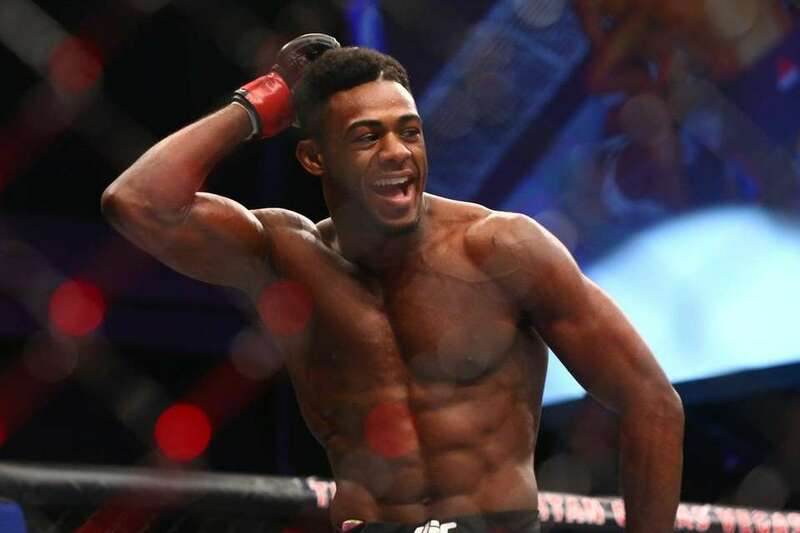 Aljamain Sterling is a UFC fighter from Uniondale who trains with Ray Longo and Matt Serra. Bantamweight Aljamain Sterling of Uniondale defeated Johnny Eduardo by guillotine choke in the 2nd round at UFC Fight Night 80 at the Cosmopolitan in Las Vegas on Dec. 10, 2015. Bantamweight Aljamain Sterling of Uniondale defeated Johnny Eduardo by guillotine choke in the 2nd round at UFC Fight Night 80 at the Cosmopolitan in Las Vegas on Dec 10, 2015. UFC bantamweight Aljamain Sterling of Uniondale defeated Johnny Eduardo by guillotine choke in the secnd round at UFC Fight Night 80 at the Cosmopolitan in Las Vegas on Dec 10, 2015. Professional UFC and mixed martial arts fighter Aljamain Sterling coaches Uniondale High School wrestling students and trains others, at the Longo-Weidman MMA Training Center in Garden City on Aug. 14, 2015. Professional UFC and mixed martial arts fighter Aljamain Sterling coaches Uniondale High School wrestling students and trains others, at the Longo-Weidman MMA Training Center in Garden City, August 14, 2015. 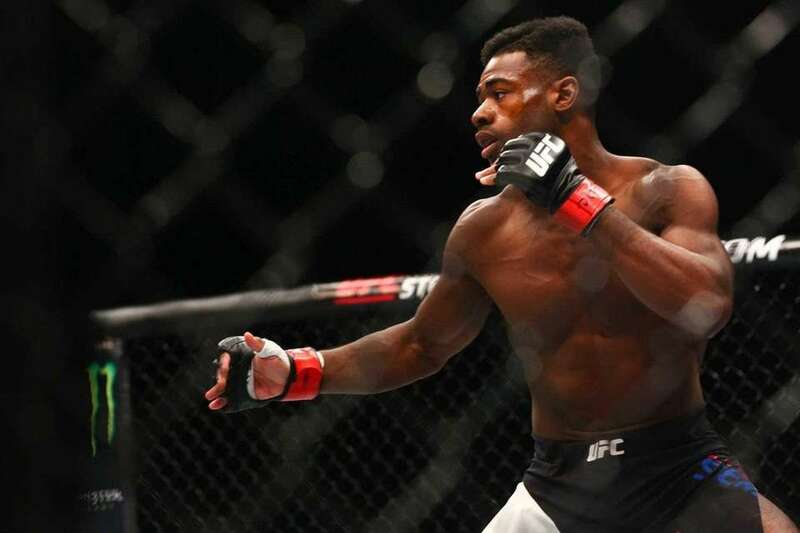 Aljamain Sterling, from Uniondale, submitted bantamweight Takeya Mizugaki with an arm bar at UFC on Fox 15 at the Prudential Center in Newark, New Jersey, on April 18, 2015. Team Weidman, from left, Matt Serra, Aljamain Sterling, Eddie Gordon, Gian Villante and Al Iaquinta share a laugh on one side of the fitness center while UFC middleweight champion Chris Weidman went about his weight cut on the other side on Thursday, May 22, 2015. 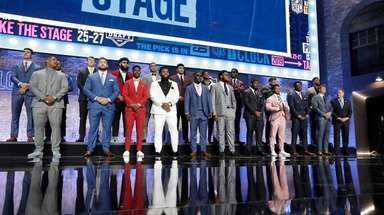 Aljamain Sterling defeats Takeya Mizugaki to win his bantamweight bout by rear-naked choke in the third round at UFC on FOX 15 at the Prudential Center in Newark, New Jersey. Saturday, April 18th, 2015. Uniondale's Aljamain Sterling during a training session Longo and Weidman MMA in Garden City on Feb. 9, 2014. Uniondale's Aljamain Sterling during a training session at Ray Longo and Chris Weidman's Power MMA in Garden City. Sterling makes his UFC debut at UFC 170 on Feb. 22, 2014, in Las Vegas. Uniondale's Aljamain Sterling is seen during a training session at Ray Longo and Chris Weidman's Power MMA in Garden City. Sterling makes his UFC debut at UFC 170 on Feb. 22, 2014, in Las Vegas.